Some of you may remember before Xmas I was slightly concerned that Baby Jesus had gone missing from the Nativity scene outside the school I walk past on my way to work. Of course I had no idea whether the baby statue had been nicked or they couldn’t find it & had to build another one. 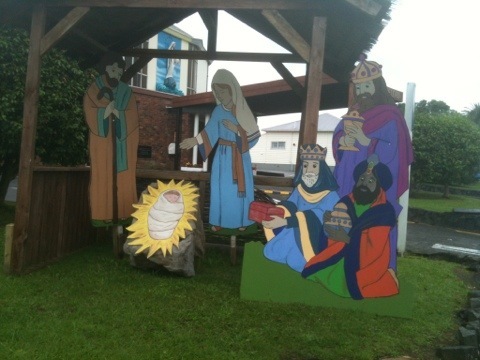 Or is this how the whole nativity thing plays out… Jesus doesn’t appear till the 25th of December. So I asked a couple of people but they didn’t know either. Anyway, whatever the reason, the baby Jesus has miraculously appeared – it’s a Christmas Miracle.